Mmmkay. Fast forward to 2019 and marijuana is increasingly legal, as well as lucrative. The consensus in the medical community is that marijuana possesses enormous healing properties. At the same time, recreational use of marijuana has become a mainstream pastime. In many cities throughout North America, you can stroll into a marijuana dispensary and casually buy pot as easily as you can buy a pack of chewing gum. Problem is, signs are emerging that the marijuana “green rush” is actually a bubble in search of a pin. Sure, enormous opportunities for cannabis profits still abound. But we’re starting to see a proliferation of dubious investments. One pot stock that’s come under the media microscope is Aphria (NYSE: APHA, TSX: APHA). There’s definitely an optimistic case to be made for Aphria, but the firm has come under withering scrutiny. Although the stock is beating the S&P 500 year to date, it’s significantly down since it went public on the New York Stock Exchange and shares in recent weeks have been on a roller-coaster. Is the criticism against Aphria unwarranted? Or is the stock a dangerous play? Complicating the story is a recent hostile takeover bid from another marijuana company, an unexpected development that has garnered a lot of financial headlines. Let’s look for the story behind the story, to see if Aphria is a good buy in 2019 or a harbinger of the marijuana shake-out to come. Aphria produces and sells medical cannabis in Canada and internationally. The company offers sativa, indica, and hybrid medical marijuana products, as well as cannabis oils. It serves patients and health professionals. The company also sells its products online. How Has Aphria Stock Performed? Aphria shareholders have gotten whipsawed. News headlines, good or bad, have exerted a disproportionate influence on the stock. Since it started trading on the NYSE on November 2, 2018, APHA has lost 35%, compared to a gain of 6.7% for the S&P 500. Year to date, APHA has gained 36.7% whereas the S&P 500 has gained 15.9%. With a market cap of $4.8 billion, Tilray makes a variety of drug treatments for medical uses. These products are based on tetrahydrocannabinol (THC) and cannabinoid (CBD) compounds, which are extracted from marijuana. Tilray makes THC-dominant, CBD-dominant and THC/CBD balanced treatments. The THC and CBD potencies are directly reflected in the company’s products, which can be administered or consumed via several methods. Tilray also sells accessories, such as vaping tools. Tilray is headquartered in Nanaimo, British Columbia, with operations around the world. Based in Smith Falls, Canada, Canopy Growth grows and sells medical cannabis in Canada and internationally. Its products include dried flowers, oils and concentrates, softgel capsules, and hemps. With a market cap of $16.2 billion, the company offers its products under the Tweed, Black Label, Spectrum Cannabis, DNA Genetics, Leafs By Snoop, Bedrocan Canada, CraftGrow, and Foria brand names. Based in Edmonton, Canada, Aurora Cannabis produces and distributes a wide variety of medical marijuana products. The company’s products consist of dried cannabis and cannabis oil; CanniMed vegan capsules; and hemp products. With a market cap of $9.2 billion, Aurora Cannabis also operates CanvasRX, a network of cannabis counseling and outreach centers. Will Aphria Go Up In 2019 (Should You Buy)? Aphria is in expansion mode. In May 2018, the company reached a deal with Southern Glazer’s Wine & Spirits for that company to distribute Aphria’s recreational cannabis products in Canada. In July 2018, Aphria announced it would acquire several South American cannabis companies for about $200 million in a deal with Scythian Biosciences. In the first quarter of 2019, Aphria signed supply partnerships with every province in Canada and the Yukon Territory, ensuring access to Aphria’s products for nearly 100% of the Canadian population. When it comes to legalized marijuana, Canada is in the vanguard. In October 2018, Canada legalized on the federal level the possession and use of recreational marijuana. Canada was the first G7 nation to take this bold step and it triggered an earthquake in the worldwide marijuana industry. The normalization of marijuana continues apace. 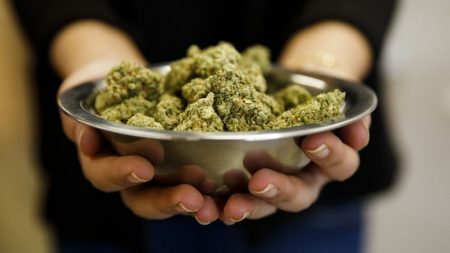 In March 2019, the U.S. House Financial Services Committee voted to pass legislation that would make it easier for marijuana businesses to access banking services. The bill will be considered by the entire House, which is now run by marijuana-friendly Democrats. Will Aphria Go Down In 2019 (Should You Sell)? 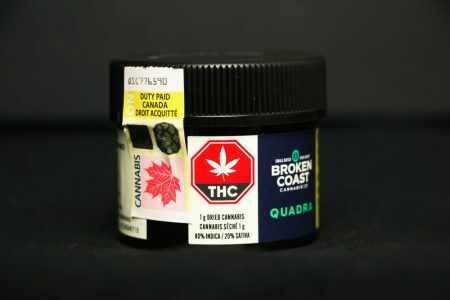 Aphria stock got torpedoed in December 2018, in the wake of a devastating short-seller report from Quintessential Capital Management founder Gabriel Grego. During a recent New York conference, Grego called the stock a “black hole.” Ouch. There’s nothing ambiguous about that description. Grego laid out a convincing case that Aphria is mismanaging its assets. He asserted that management has diverted about 50% of the firm’s net assets for inflated investments that are held by insiders at the company. The report from Quintessential Capital Management comes along with a negative assessment from Hindenburg Research. Hindenburg claims that insiders at Aphria used assets from retail shareholders to buy large positions, via shell companies, in highly overpriced overseas entities involved in the cannabis industry. Hindenburg says Aphria spent $280 million for apparently worthless assets in Jamaica, Argentina and Colombia. The report says a few insiders might have benefited from these financial dealings, at the expense of majority shareholders. Aphria has dismissed the accusations as slanderous. APHA shares plunged in the immediate wake of these revelations, but the stock has since recovered as enthusiasm for the overall marijuana market remains strong. Green Growth Brands (CSE: GGB), an Ohio-based cannabis operator, stunned the marijuana industry in late December 2018 with a hostile, all-stock takeover bid for Aphria. Green Growth valued Aphria at $2.06 billion; the latter rejected the offer as too low. Regardless, Green Growth vows to persist. The takeover attempt is a foretaste of industry consolidation to come. In 2019, I expect a shake-out in the cannabis industry to occur that separates the winners from the losers, which makes picking the right marijuana stock all the more imperative. Will the entire marijuana industry go bust? Absolutely not. The marijuana boom represents one of the greatest investment opportunities that you’ll ever see in your lifetime. But not all marijuana stocks are created equal. 1) Aphria reported operating results that reveal a growing sea of red ink. For the third quarter ending February 28, 2019, the company posted revenue of $73.6 million, an increase of 240% from the previous quarter and 617% from 2018. Sounds impressive, right? Well, the company still reported a net loss of $108 million versus last year’s net income of $12 million for the same time period. The company’s profit margin in the quarter stood at -30.9%. 2) Aphria’s management again urged shareholders to reject the hostile buyout offer from Green Growth Brands. Aphria’s board argues that Green Growth’s offer undervalues the company by 23%, at a time when cannabis industry acquisitions are occurring at heady premiums. Indeed, Aphria’s top executives were scathing in their rejection of Green Growth’s bid, saying it “could destroy value for Aphria shareholders” and calling the offer “opportunistic” and “inadequate.” Green Growth has vowed to press forward and the takeover fight is getting ugly. 3) Management announced that Aphria is taking on more debt, with plans to issue up to $300 million of convertible notes. 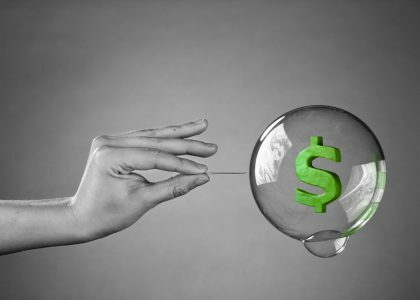 Ballooning debt, plus widening losses, equals investment danger. In my view, the Aphria bulls are imbibing a drug, but I’m not referring to marijuana. They’re partaking of the “hopium” pipe. Hopium is a term that I like to use for unrealistic hopes that are pursued like an addictive drug. You won’t see wild beasts, as our anthropology professor claimed about marijuana in his Washington Post article. But hopium is a habit that clouds your judgment and it’s deadly for your portfolio. Aphria is a toxic investment you should avoid.